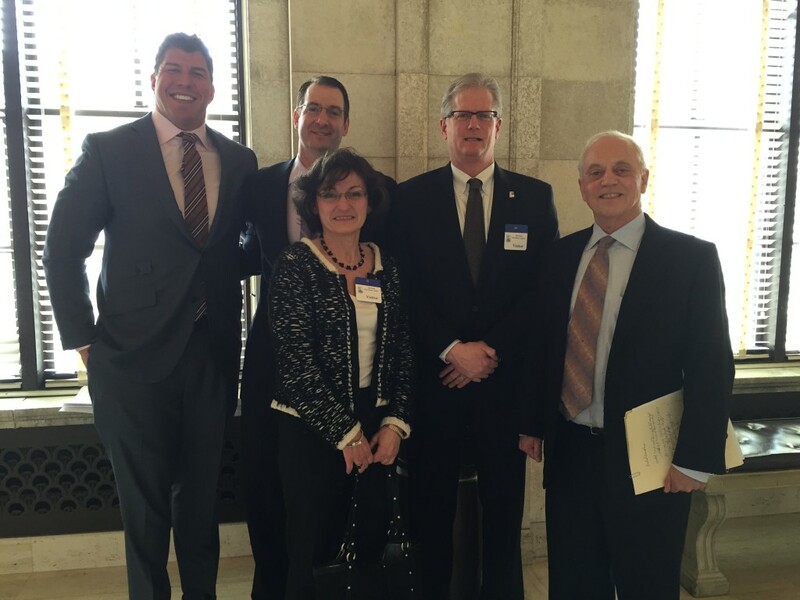 On Monday, March 16 the Assembly Regulated Professions Committee hearing at the State House in Trenton took place. Many supporters were present to support legislative bill (A1648) – The Physical Therapy Practice Act as well as the issue of dry needling. Dr. Mason provided an overview of the bill to inform the legislators of its contents. He cited that the biggest conflict lies with dry needling. Dr. Podell followed and provided insight and support for why a physical therapist is more than qualified to perform dry needling. He gave this from the credible perspective of a double board-certified, Harvard-educated clinician. Mr. Diehl gave the patient perspective and reflected on his 11-year professional football career. He cited that he used both dry needling and acupuncture as a player, and drew the following distinction: he used acupuncture to relax his muscles, while using dry needling, performed by the Giants’ PT Dr. Leigh Weiss, to rehab from injury and stimulate his muscle recovery. Dr. Tuazon anchored the panel, speaking about the small business side and how he uses dry needling on a daily basis. As a former professional fighter and Brazilian Jiu Jitsu champion who trained in Asia and studied Oriental Medicine, he distinguished between dry needling and acupuncture and why dry needling is a more effective technique for his patients. Convincing arguments were presented to the legislators to hopefully have them vote “Yes” on A1648 and permit dry needling to remain in the bill in the future!